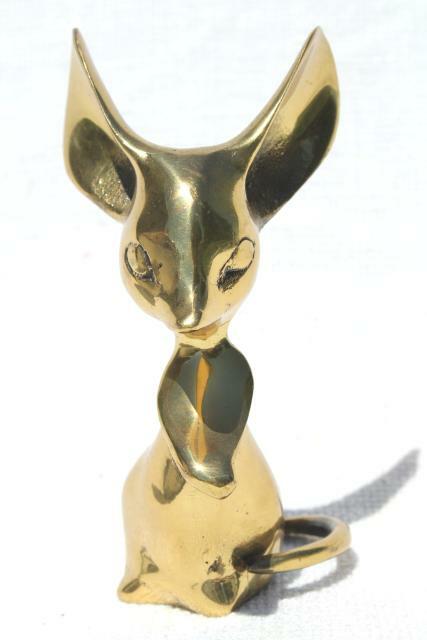 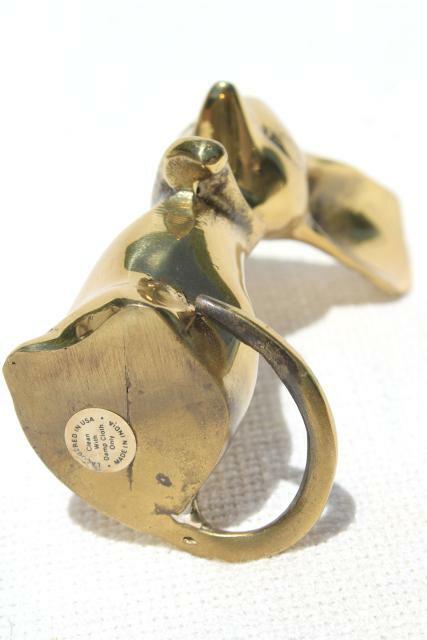 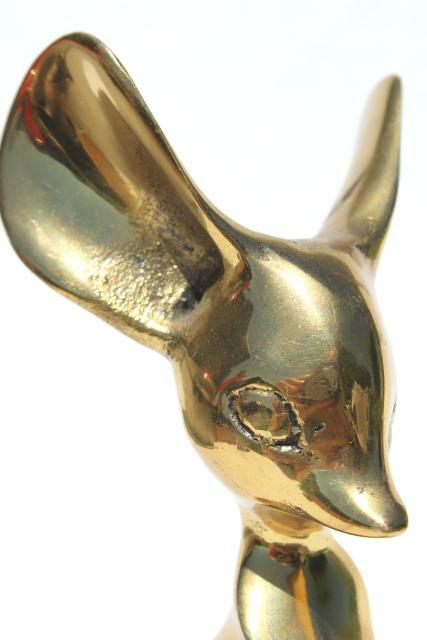 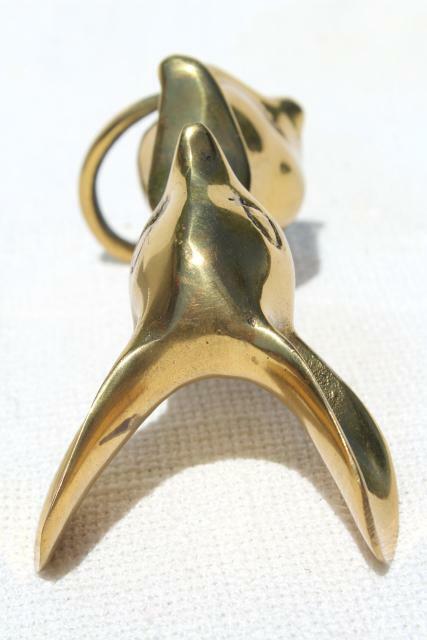 Vintage solid brass mouse with wide eyes and big ears, much larger that life, about 5" tall overall. 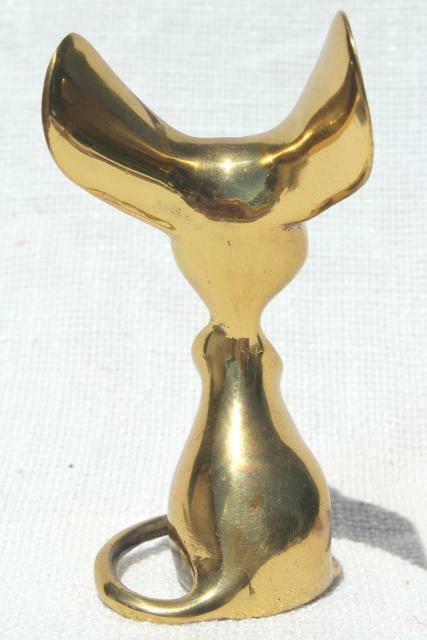 Label is marked India. 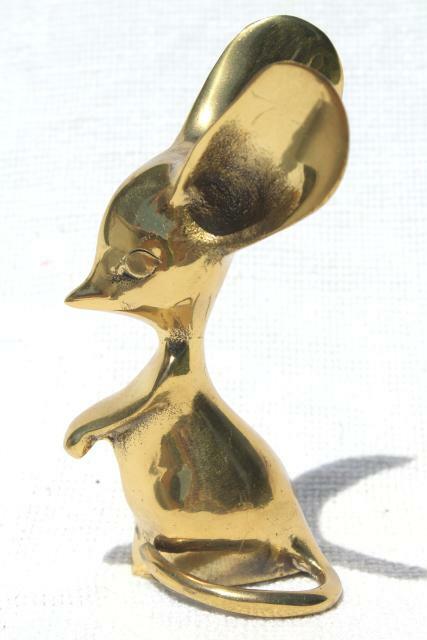 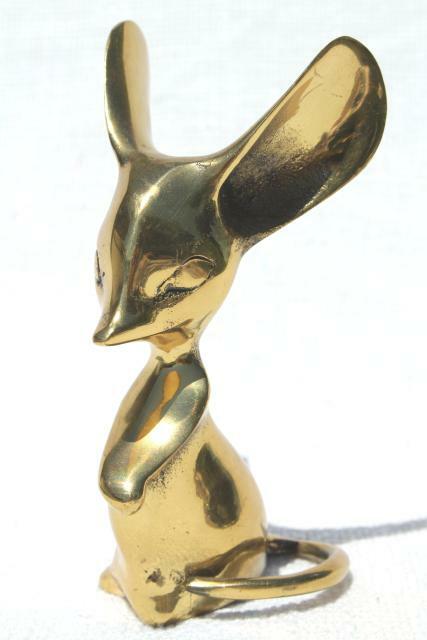 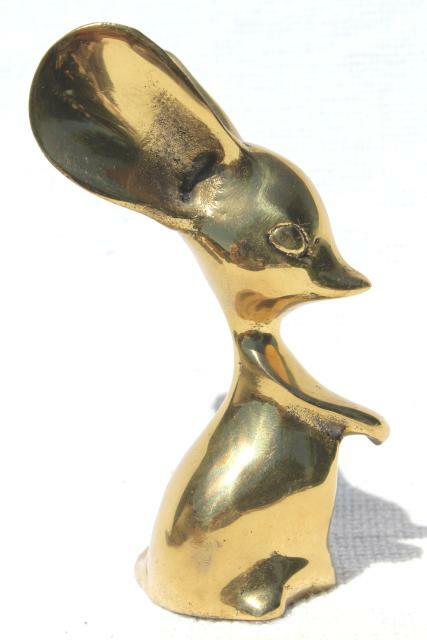 This would make a great paper weight or live happily in a mouse collection, or a collection of brass animals.